Interested in quilting, but not sure how to get started? 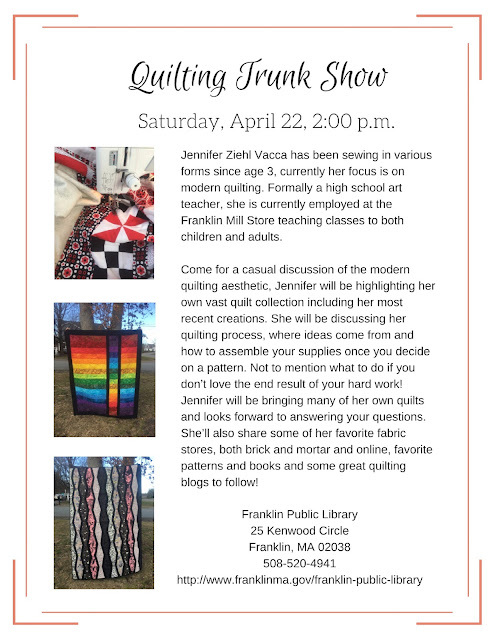 Jennifer Vacca will show you! A quilter for over thirty years, Jennifer will lead a quilting information session, and present her latest works. She will offer a list of the best local resources, books and websites. Jennifer will also provide a thirty minute question and answer session.